If you're ready to plug in more to our community we invite you to explore these steps. They aren't necessarily in order but these steps will help you as you move forward in joining our journey here at Bethel Worship Center. You can hear the heart of our church and find out more about these next steps at our next steps class. Click here for more information and to sign up. A new life begins when we recognize that we are flawed, but we don't have to stay that way. Jesus Christ came to make us new. Find out what it means to give your life to Christ, follow Him, and truly be transformed! Baptism is your way of letting your family and friends know that your life has changed. Find out more about why baptism is important and sign up so we can celebrate with you! Whenever we find something we love or we're excited about, it's only natural to want to let others know about it. Find ways to invite your friends, family, coworkers and neighbors to church with you! It's nice to be able to hear the heart of the church, our history and our vision and know what the church is all about. You can do that at Next Steps Class. Sign up today! Giving is not an obligation, it's an opportunity. When we give we're helping a child or teen build a strong foundation for life, someone find freedom from addiction, a marriage stay strong, and so much more. Find out how you can be a giver. Giving our time and talents to serve others is a part of being a follower of Christ. Find ways you can serve the church, the community and beyond. Spiritual growth happens even greater when we allow our self to connect with other people, hear their stories, maybe share ours, and learn from each other. Find out how you can be a part of a group. How do I become a member is a question we often hear. Membership for us is very simple. We're not a society you join, we're a family you become a part of. Find out what that looks like and how we define membership. Your story of transformation is exactly what someone may need to hear. 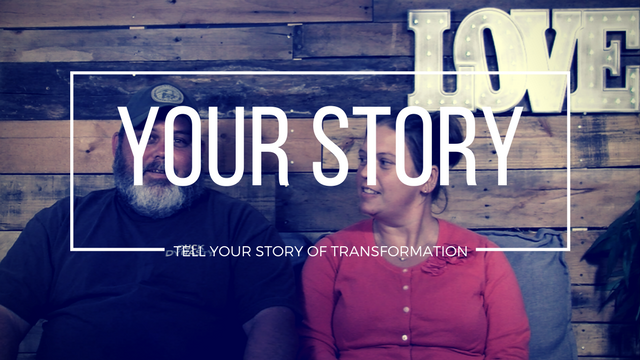 Your story of transformation could lead someone else's life to being transformed. Find out how you can share your story.